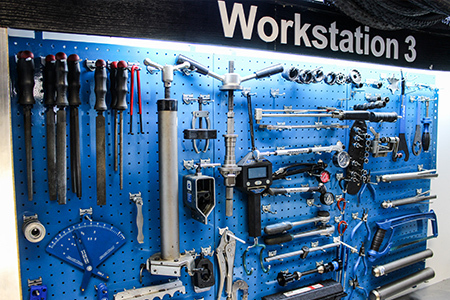 Cycle Teknix’s workshop specialises in bicycle repairs and modifications. 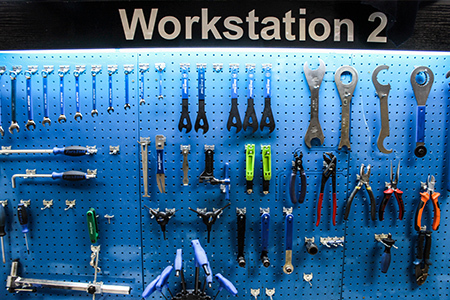 The workshop is equipped with the state of the art equipment, specially made for the cycling industry. 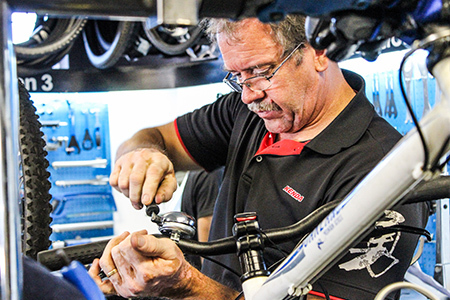 Our servicing staff, being competitive cyclists themselves, they know that he condition of your bicycle is of utmost importance. 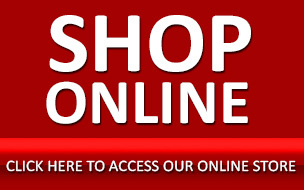 If you have a wheel that is buckled or needs repairs, come and speak to us for assistance. 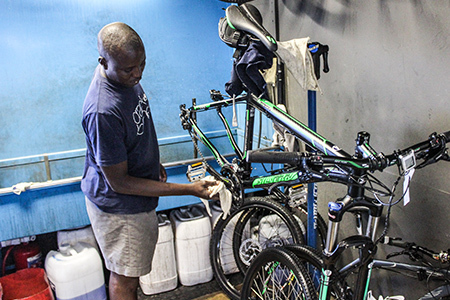 Whether you are a recreational or professional cyclist, we have a variety of services available to meet you individual needs. 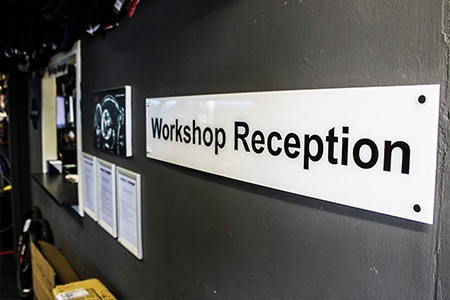 Services do not include any parts or spares fitted and are additional to original service pricing. 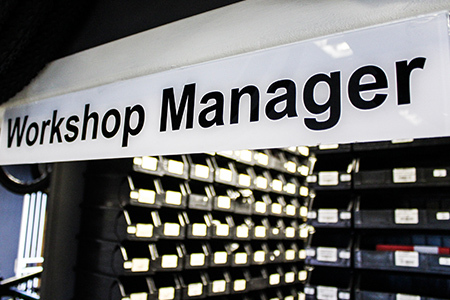 With any A-Service or B-Service you will receive a checklist that has been completed by our technician, giving you a detailed summary explaining the required parts and/or repairs. - Strip bicycle down to bare frame. - Wash and oil components individually. 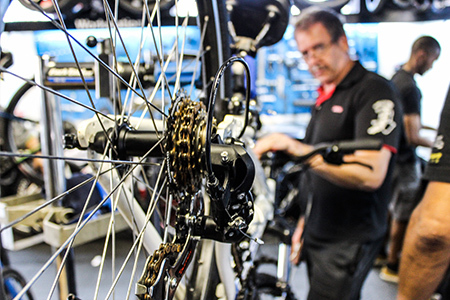 - Truing of wheels-Setting of spokes. - Re-oiling cables and cable casing. 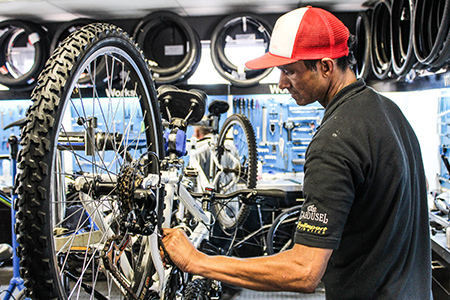 - Opening and servicing of all bearings-Wheel hubs, headset and bottom bracket. 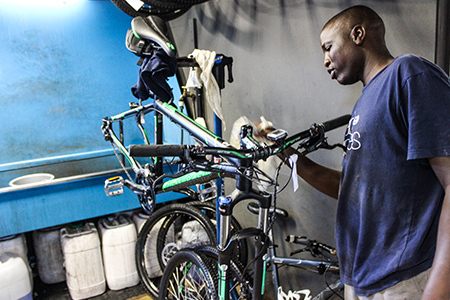 - Wash bicycle and oil components. 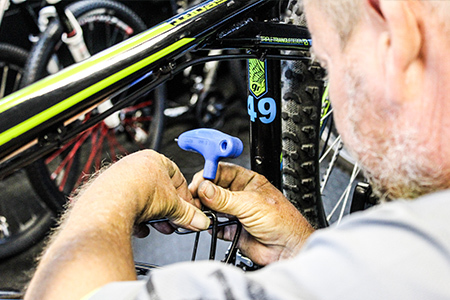 - Truing of wheels, Setting of spokes. 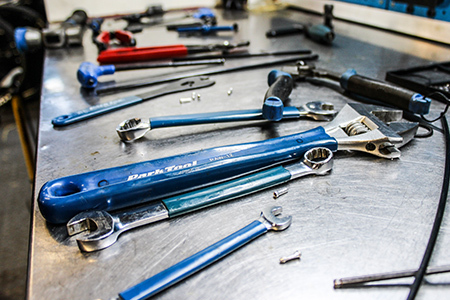 - Checking brake pads ,tyres, etc for wear and tear. 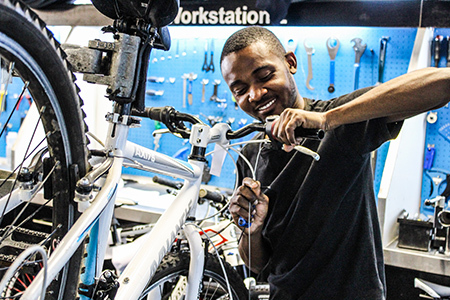 - Setting bearings, Adjusting hub cones, headset and bottom bracket. - Wash and lube of bicycle. - Minor adjustments to breaks. - Wash and lube bicycle.